The dealer was to meet an art collector, but left the painting in the boot of his cab. Paris: An art dealer in Paris has filed a complaint for theft after forgetting a picture worth 1.5 million euros ($1.64 million) in a taxi, police said Tuesday. The dealer, who was not identified by police, was supposed to meet an art collector in the French capital's 11th district last Thursday. He hailed a taxi and put the painting in the boot -- but then apparently "forgot" about it, police said in a statement. He tried to locate the cab again but by Saturday he filed a complaint of theft with police. 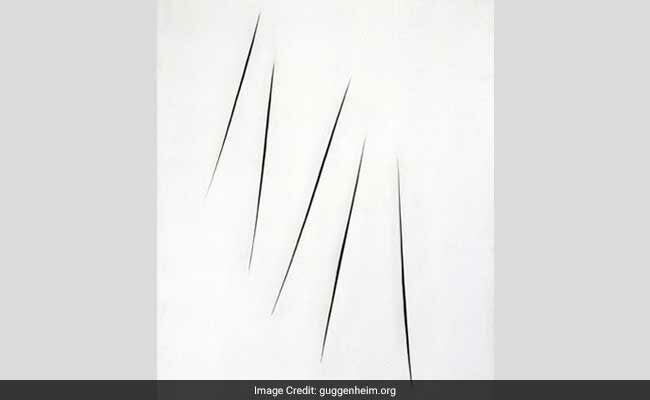 The artwork is by Argentina-born Italian sculptor and painter Lucio Fontana (1899 - 1968), entitled "Concetto spaziale" (Spatial concept), estimated to be worth 1.5 million euros, police said. The work is one of a series of abstracts he made featuring the piercing of the canvas to create an actual dimension of space and using light. He became known for founding the spacialist movement, according to the Tate museum website.